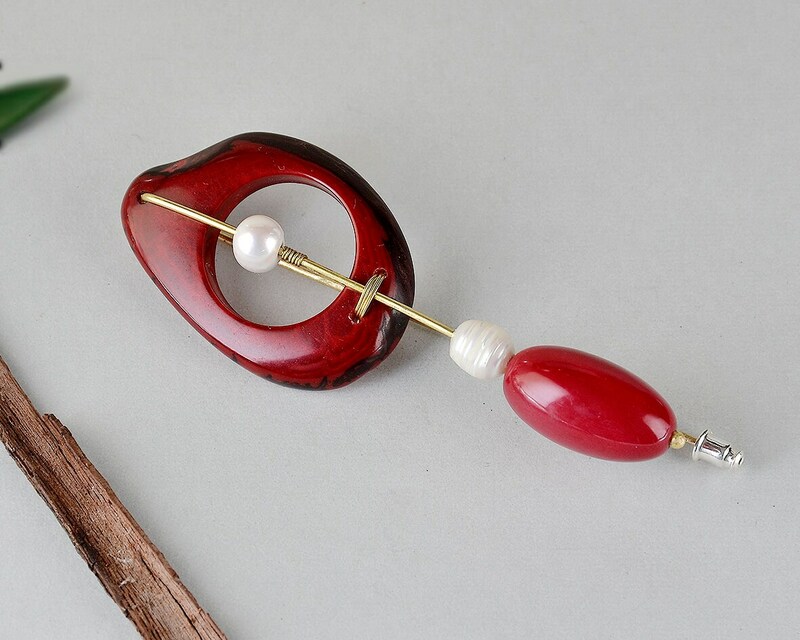 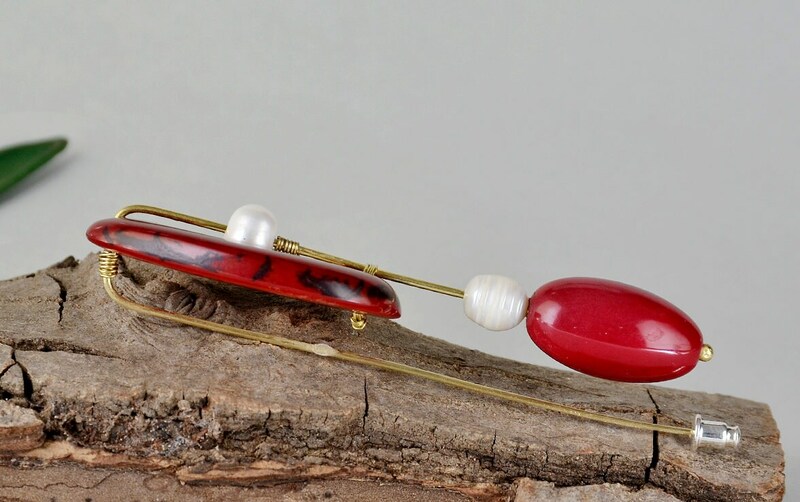 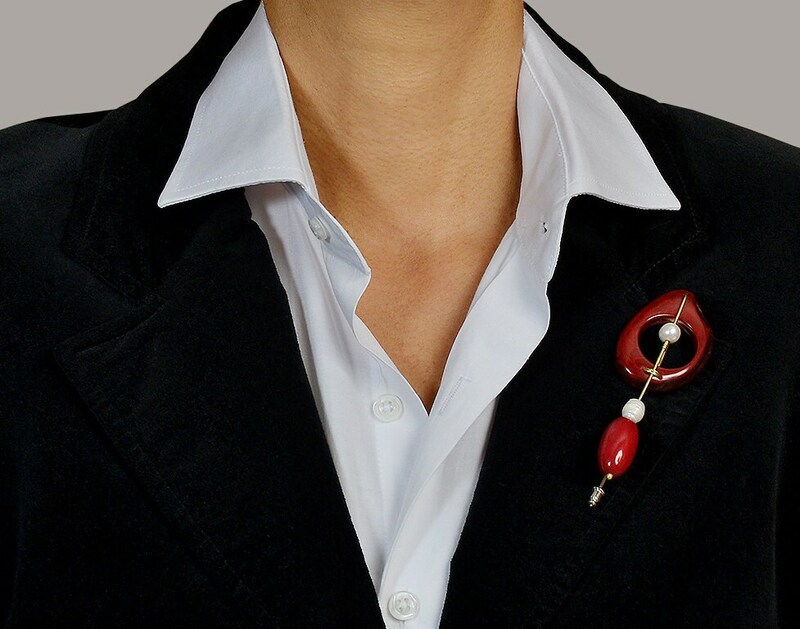 This red tagua statement brooch is totally handmade. 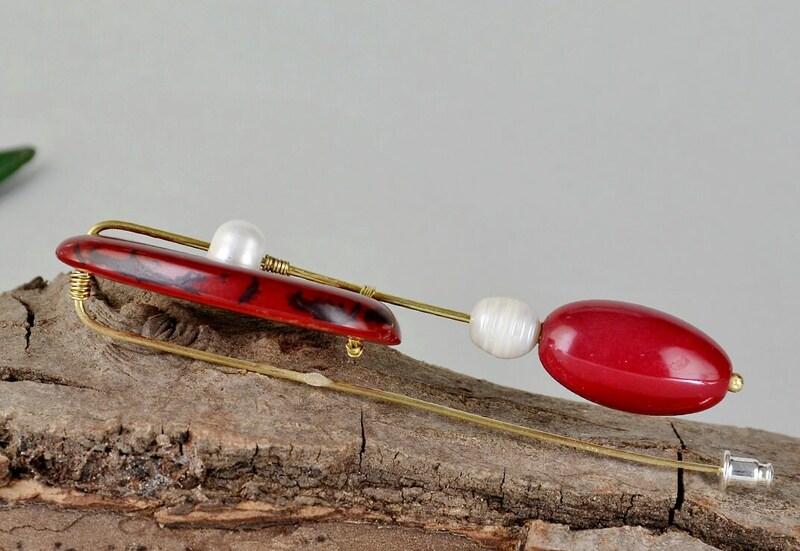 Made with brass wire and adorned with white fresh water pearls . 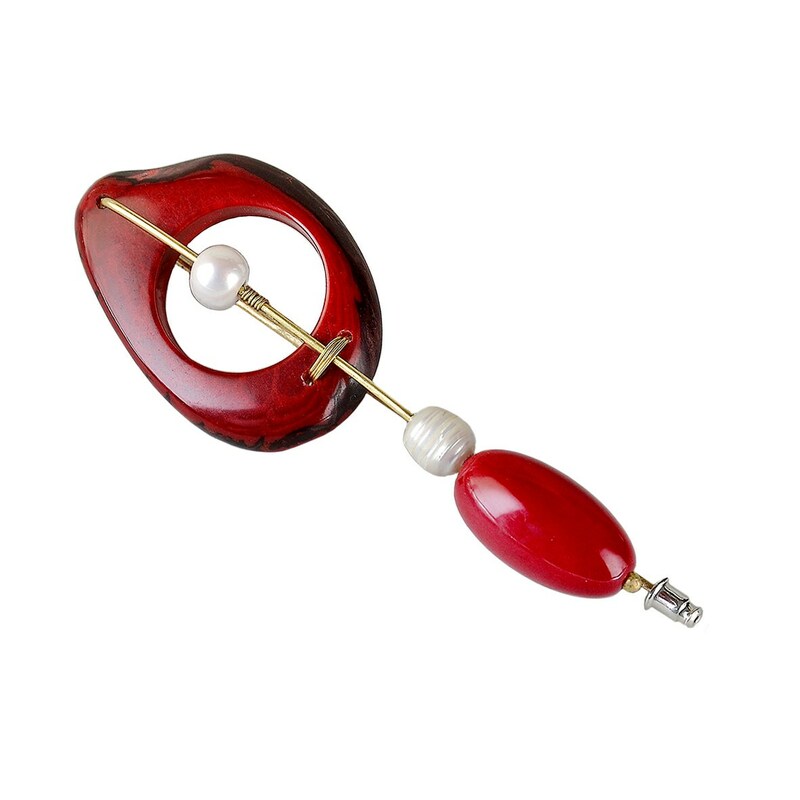 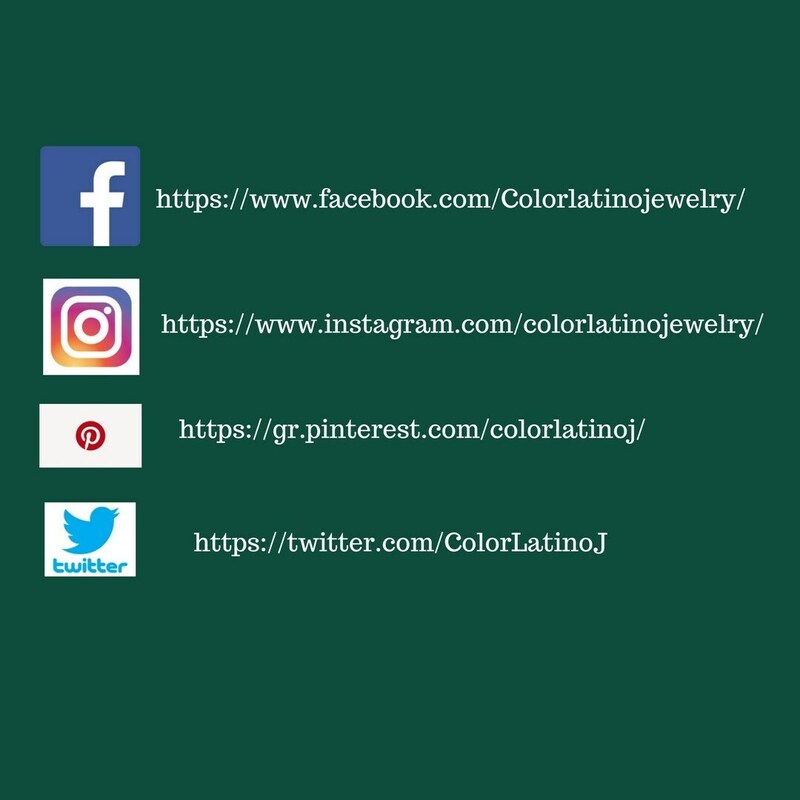 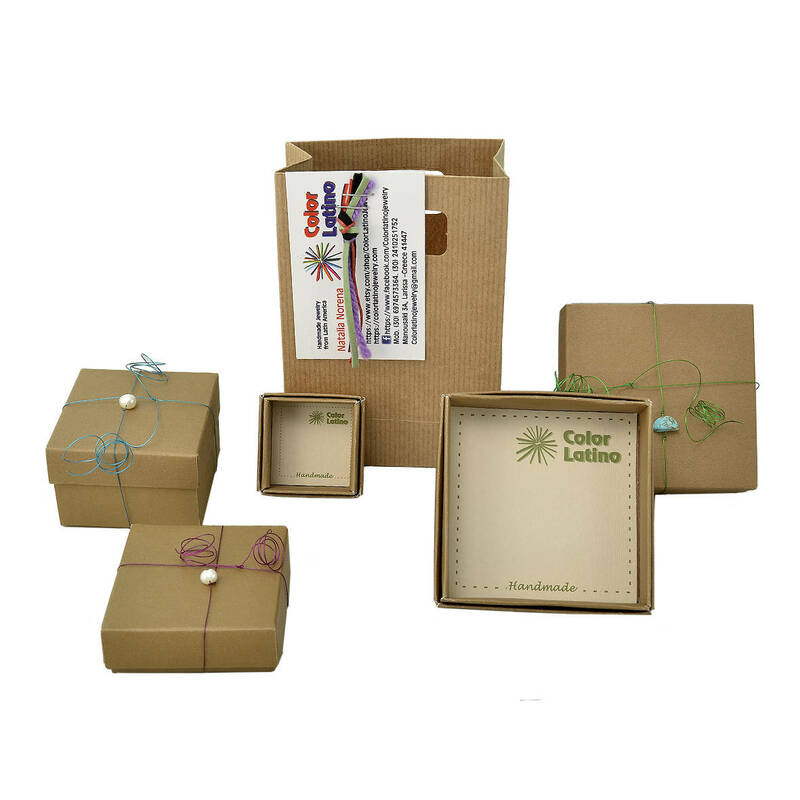 The ideal gift for exotic beads lovers since the red nut is carved by hand.